It’s that time again! It’s IPSY Bag time!! If you have noticed I haven’t done a post about an Ipsy bag in a while it’s because I was trying to figure out if and when I should post them. Right now I think I’m only going to show a bag if it’s a really good one, and just leave the not so great bags out. Hope that works for you. Keep reading to see everything I got in the March Ipsy Bag. What is IPSY?! It’s a $10/month beauty subscription program with super cool beauty goodies each month ranging from makeup, skincare, nails, hair, fragrance… plus you get a super cute bag. Sign up here, you won’t regret it. 1 // Boo-Boo Cover Up Concealer: I like this, it’s a great concealer to cover up blemishes hence the name, but it doesn’t work for me under the eyes, it creases too bad for that area. You only need a tiny amount of this concealer because it is pretty thick, so this little tube will last me a long time. Great product! 2 // Illuminating Face Highlighter in Vintage by Jessica Liebeskind: This is a gorgeous pink highlighter. This looks great applied on top of blush as well, and hey I would even use this as an eye shadow. It really just has the perfect amount of sheen to it. 3 // Pur-lisse Gentle Soymilk Cleanser and Makeup Remover: This is a nice gentle cleanser, it isn’t going to really do anything for your skin except clean it and remove makeup, and sometimes that is all we really need. Other types of cleansers can really dry out your skin, but a cleanser like this won’t do that. 4 // Dr. Brandt Pores No More Anti-Aging Mattifying Lotion: I was a little disappointed with this product. First of all the tube wasn’t even half way full so I could use it a few times. Second it just didn’t keep me matte all that long. However, I did notice it minimized my pores pretty well. 5 // NYX Butter Lipstick in Hunk: This color is stunning!!! I already love these butter lipsticks see my review of them here, so I knew I would really love this. 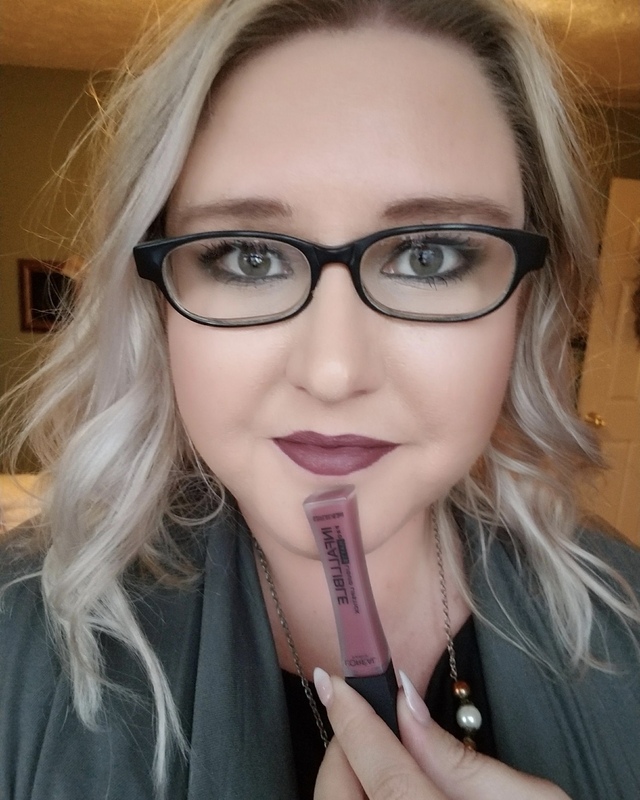 The lipstick looks much darker in the tube than when applied to the lips. I think this shade is the perfect transition color from winter to spring. Gallany Lipstick in Bourdeaux (similar): This is a gorgeous color, but not really something I will wear until probably the fall this year. If you get IPSY what did you get in your bag? Haha there have been so many times I’ve wanted to cancel, then the next bag is so good I talk myself out of it! Looking forward to the April one with The Balm!! Got the same bag as you this month and I wasn’t super crazy about it, but those are usually the best ones for me! You got a really great box! I’m curious how that concealer will work for you — it has such a cute name, haha! Yea it was great! The concealer works pretty good, just not that great under the eyes, it creased too bad for that area. This looks like a great bag. I think it is a good idea to only post bags when they are good. That way they only get free advertisement when they deliver a good service :) what do you do with all the makeup bags? Thanks for your post, I thoroughly enjoyed it! How nice! Why did you decide ipsy over birchbox?